Now that she's been knitting up a storm with the help of her new friends at House of Lambspun, Kelly Flynn can't imagine ever leaving Fort Connor, Colorado. But there's trouble in her adopted hometown-and not just with her new sweater project . . . When Kelly volunteers to take a troop of tourists to visit Vickie Claymore's alpaca farm, she discovers Fort Connor isn't as sedate as it seems. Instead of a warm welcome, they find Vickie splayed out on her original hand-woven rug, her blood seeping into the design . . . 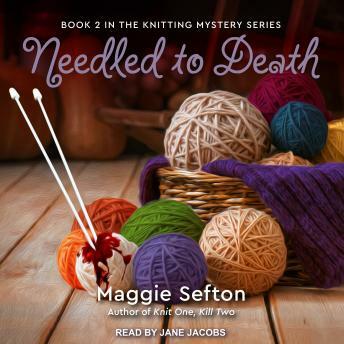 The police jump on the case, but Kelly can't resist doing a little investigation work of her own-even if it means taking a break from the sweater she's been knitting in the round. Because a murderer is lurking in Fort Connor-waiting for the right moment to strike again . . .